Group Discussion Ideas > General GD Topics > Human Gene editing – Good or Bad? When America was colonized several species of humans and animals were eliminated; the same stands true for nuclear power, chemical resources, and genetic engineering – all of which could be used for the good and the bad. The only thing required is a reasonable restriction rather than an altogether ban. Some people who believe in modifying the genes believe that it not only increases the span of life but also increases the quality of life. DNA has got nothing to do with spirituality. It is made up of nitrogen, oxygen, carbon, and hydrogen – the very same elements that make up the majority atmosphere. It is just as godlike as is the air around us. Playing with the DNA of an organism, especially when it’s to be inherited to the next generation is equivalent to creating an entirely new organism which is different from all other individuals. Even a small mistake, that shows up only once will be copied to a sufficiently large number of individuals, could end an entire species or destroy an ecosystem. Undergoing a somatic gene therapy may mean that one fault is corrected and several others are created. This is because the genetic code is very specific in nature and a single misplaced atom can have widespread effects. This is what happens naturally in diseases like ‘sickle cell anemia’. G. Wells, in his futuristic book “The Time Machine”, imagined a world where humans give birth to designer babies. In such an atmosphere, when only the rich and the affluent get access to these services, there will be a new divide between the people. Many religions believe that genetic engineering, after all, is equivalent to playing God, which is also against their ethical values. Chinese researchers, in August 2017, successfully altered the genes of a human embryo to correct the life-threatening genetic disorder Hypertrophic Cardiomyopathy. The embryos so formed were all devoid of the disorder, which would have lead to strain in the heart muscles and an imminent heart failure. Although the experiment was only part of a research and the embryos were all disposed of, it throws ample light on the future that we have in front of us. Countries like Britain have not only legalized experimentation on human embryos but also increased the investment in these fields. The release of genetically modified organisms into the wild in the past few years has raised considerable ethical and scientific questions. The potential consequences of releasing genetically crippled mosquitoes in the southern United States to reduce transmission of tropical viruses drew a firestorm of concern over the effects on humans and the environment. We have now embarked on a long journey and it is unclear whether we will be able to do it or not. We also have to make sure of each and every step that we take, because it is unlikely we will ever be able to turn it backward. The main issue is that not every country in the world has the same sorts of regulations or the same ability to enforce regulations. So, we all need to work together and try to get everyone on the same page. 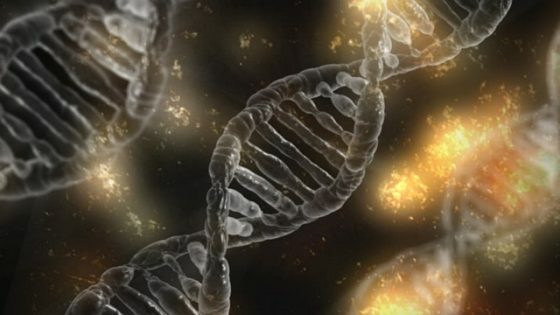 This could be the first steps towards a future in which we are able to literally edit a disease out of humans.